KlezKanada, 2018. Photo Credit: Avia Moore. My dad was the first person who taught me to make and love music. One of my earliest memories is of my dad playing guitar and gently crooning the jazz standard “Me, Myself and I (Are All in Love with You).” My dad, who has been a full-time musician and music teacher his entire adult life, shared his far-reaching interests in classical music, folk, pop, and jazz with my brother and me throughout our childhoods. Never pushy but always encouraging, my dad taught us both to play guitar when we were little kids and, when we were teenagers, supported my brother’s dedication to banjo and guitar and my love for singing and songwriting. Over the past five years, my dad has also supported me at each stage of my involvement with Yiddish music. Before I went to my first klezmer festival, he taught me a few guitar chords that are common in klezmer music. As I learned more Yiddish songs, he began to help me with arrangements. Now that I’ve begun performing Yiddish songs, my dad supports me, sometimes as an accompanist, and always as an advisor and fan. Last spring, after I was accepted into the scholarship program at KlezKanada, a week-long klezmer music and Yiddish culture festival hosted at a summer camp in the Laurentian Mountains outside Montreal, I asked my dad if he wanted to come to the festival, too. We’d been thinking about having a father-daughter adventure of some sort, and this seemed to fit the bill. I was both nervous and excited when he said yes. I was nervous because it would be my dad’s first time at a festival of this sort: he wouldn’t know any of the tunes or what to expect on the schedule, and, most consequentially, he wouldn’t know anyone except me. While he’s a skilled and open-minded musician who loves learning new things, he can be very shy, and, in my experience, connecting with others is a large part of what makes KlezKanada special. He was also nervous because he isn’t Jewish, and most participants are (although I assured him that there would even be non-Jews on the faculty and that after being married to my Jewish mother for thirty-three years, he was more than well prepared). I was excited that my dad was willing to take the risk and spend a week with me and hundreds of others making music, art, and friends at a remote Canadian summer camp because it was a chance to spend time with him and because I would have the opportunity to introduce him to a community that had become a big part of my life. It was to be my second time at KlezKanada, my seventh time at a week-long Yiddish culture festival, and I’d just finished writing a master’s thesis about Yiddish singers based on research I’d conducted within the Yiddish music scene of which KlezKanada is a part. I was honored to bring my dad into a musical and cultural world that had become very important to me. Adah and her father Joe Hetko performing together at the Gotta Get Gone Folk Festival in Albany, NY, May 28, 2017. So, after he bravely signed up, I did my best to prepare my dad for KlezKanada. KlezKanada, I told him, is technically the Laurentian Retreat or summer festival of the KlezKanada organization, based in Montreal. Founded in 1996, KlezKanada is one of several Yiddish music and culture intensives modeled after KlezKamp, the program that was instrumental in jump-starting the klezmer revival in the 1980s. These programs aim to help foster the creativity of the Yiddish cultural world by bringing people together to learn about Yiddish music and culture from experts. While KlezKanada, like KlezKamp, focuses on instrumental music, the festival also includes visual arts, dance, theater, and lectures about Yiddish culture. KlezKanada has the distinction of drawing a large crowd of people of all ages who stay in residence together for the week, which builds a special community. Next, I explained that the heart of the programming for the week is a schedule of classes. While each day has five periods full of enticing programming, it’s usually only possible to attend three or four. We scanned the schedule for classes that might suit my dad’s skill level and interests, and settled on Basic Klezmer Repertoire, the Plucked Strings Intensive, and Mandolin Orchestra. Then, we looked over the schedule of evening concerts and I told him about the open-mic style late-night cabaret. I also prepared my dad for my favorite KlezKanada tradition: the backwards march, a lovely adapted tradition of singing or playing a nign (a wordless melody) while marching backwards away from the lake to symbolically welcome in the shabes kale, or the Sabbath bride, before Friday night services (which, I reassured him, are completely optional). I had forgotten to tell my dad that KlezKanada was in a very beautiful location. So, he had a surprise when, after driving through upstate New York, getting through the border, tackling Montreal traffic, finding the right exit out of the city with the help of a kindly Canadian construction worker, driving for miles on highways surrounded by forest, locating the entrance to the right summer camp, and parking near the retreat center, we got out of the car and saw a lake, backed by the gorgeous Laurentian mountains. The first few days of the festival, I sat with my dad at every meal, and tried my best, in the boisterous dining hall, to introduce him to people I knew. During the day, I went to Yiddish song classes, and was reminded of one of the central themes of my recent research: in the Yiddish song scene, mentorship is extremely important. By interviewing leading Yiddish singers I’d found that leading Yiddish women singers connect themselves with older, more experienced singers, creating lineages of Yiddish singers that stretch back to Eastern European. As singers spend time with mentors and carefully study recordings of their forebears, they gain legitimacy and develop individual styles inspired by the past. 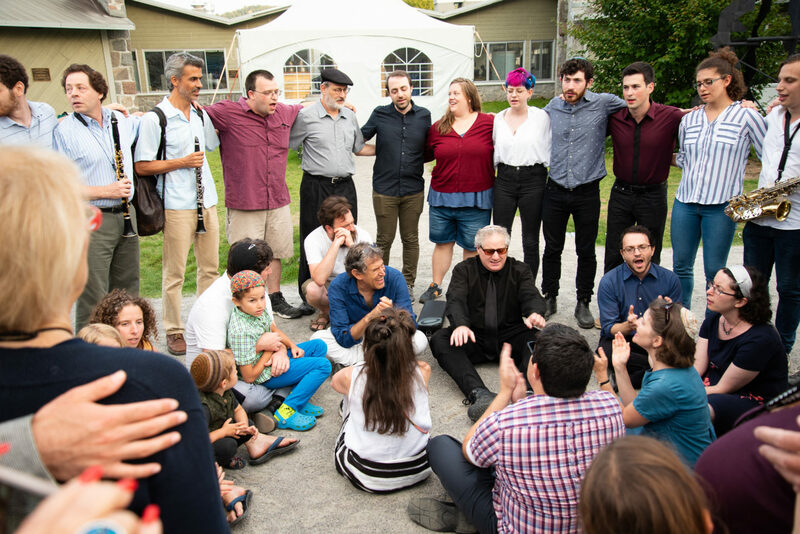 Many of the singers I interviewed emphasized that in-person mentorship is crucial to becoming a Yiddish singer, and KlezKanada’s Yiddish song workshops offer exactly that. 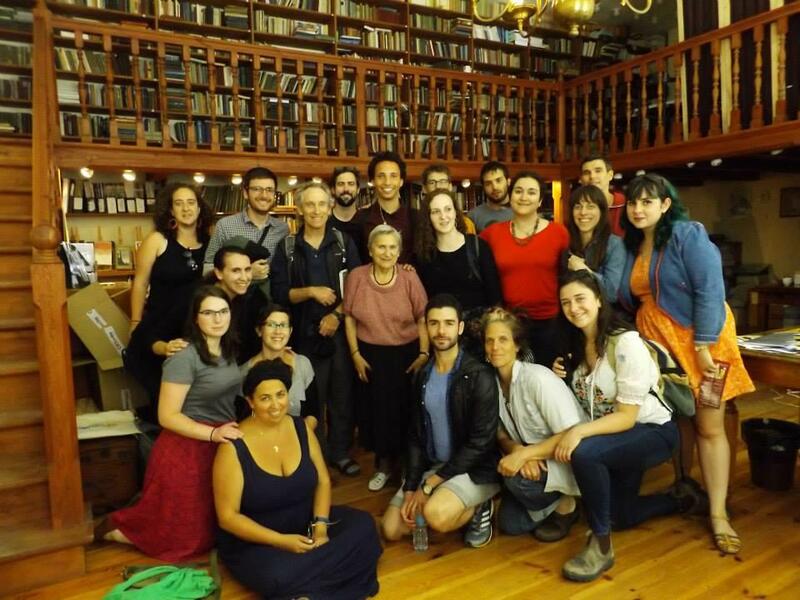 That week I took a class with one of my Yiddish song mentors and inspirations: Ethel Raim. Ethel, now in her 80s, first learned to sing Yiddish songs by listening to Eastern European immigrants sing to entertain one another. After an amazing career as the leader of the Balkan women’s choir The Pennywhistlers (which also recorded some Yiddish songs), Ethel turned toward teaching Yiddish song. She has an eye for especially delightful or moving songs and teaches them like she is sharing a precious treasure (which, of course, she is), pointing out each specific element of style that makes the magic of the song happen. Every time I take a class with Ethel I learn songs that I want to sing forever (that week it was “Af di veygelekh vu di vintn vyeyen”), and each time I sing with style that I learned from Ethel, I feel that I’m honoring the history of Yiddish song. 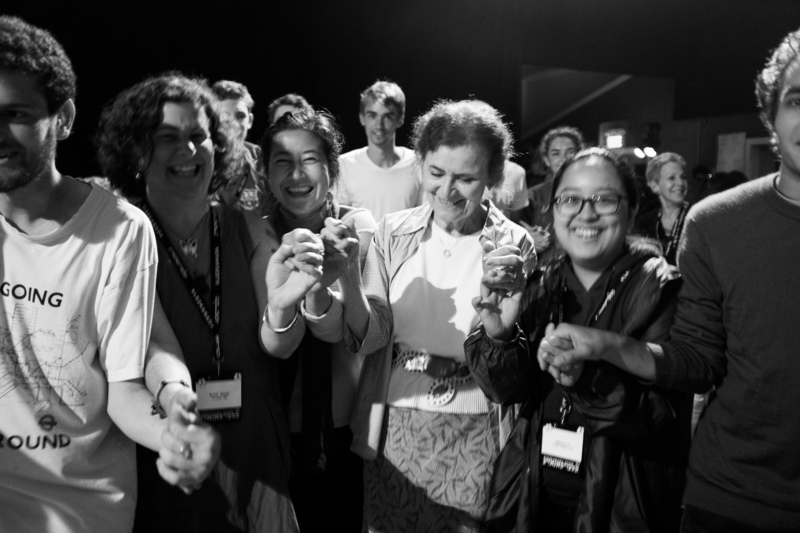 That week I was also reminded that while mentorship is extremely important, KlezKanada also has the advantage of creating an environment where a peer group of people similarly experienced and excited about Yiddish music and culture can come together: an opportunity that can be rare to find elsewhere. The scholarship program nicely builds this in by selecting a group of enthusiastic young people (of a variety of ages). As my dad began to make friends his age through his classes, I spent more time sitting with my fellow scholarship students during meals. I also debriefed each day with my bunkmates, a truly incredible group of women: educator and musician Joanna Britton of Belgium (by way of Britain), filmmaker and graduate student Magdelena Hutter, and singer and activist Simone Lucas of Montreal. We traded notes on classes, giggled appreciatively about wildly inventive theater artist Jenny Romaine’s jokes, and talked seriously about some of the challenges of being women artists. I also took time in between classes to make some music informally: one of my favorite memories from that week was singing three-part harmony to Beyle Schaechter-Gottesman’s “Levone, levone” [Moon, Moon] with Joanna Britton and Hannah Hamavid of the west-coast band Brivele [Little Letter]. I hope that even though we live far apart, this unlikely trio will reunite at another festival soon! Near the end of the week, my dad and I caught up. 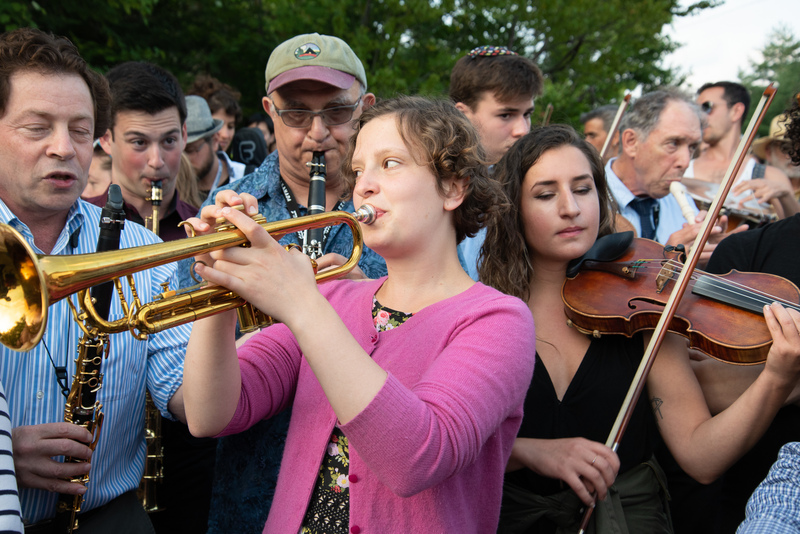 It became clear that he’d found all the essential ingredients to the KlezKanada experience: he’d learned from his classes, made friends, and connected with the faculty. He had also taken part in the KlezKanada traditions. He’d somewhat regretted staying up so late for the cabaret, but loved the Backwards March, and had even come along to Friday night services because that was what his friends were doing. He had loved performing with the mandolin orchestra for the student concert, and I reassured him that his solo had been on point. KlezKanada 2018. Photo Credit: Avia Moore. The second to last day of KlezKanada, I ran into cantor and musician Jeff Warschauer, who I’d taken classes with at the first klezmer festivals I went to, and who has always been a friendly presence since. I’d recommended Jeff’s class to my dad as a way to practice mandolin and learn a few klezmer tunes, and my dad had taken it. “Adah,” Jeff said to me, “Your dad’s a great guy. 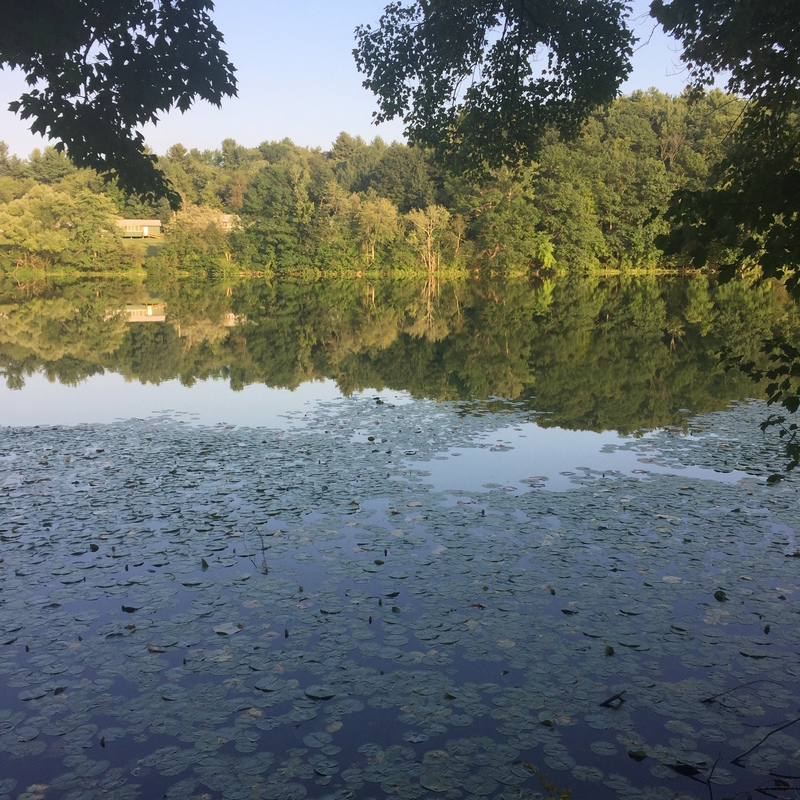 Since I met you first, I thought of a new expression for your family: the tree grows not far from the fallen apple.” On the last day of the program, after breakfast, I met up with my dad outside the dining hall before we packed the car. He had a surprised smile on his face. He told me that he’d just gone over to Zach Mayer, his enthusiastic young Basic Klezmer Repertoire teacher, to thank him for teaching the class. Zach had gotten up from his breakfast and given my dad a big hug. On the drive back, my dad and I reviewed the week: the bands we’d enjoyed most, the classes we’d loved, and the people we’d met. I was glad that my dad had enjoyed KlezKanada, glad I’d had the chance to share it with him… and glad to be the fallen apple, not far from the tree. Hetko, Adah. “The Fallen Apple: Attending KlezKanada with my Dad.” In geveb, April 2019: https://ingeveb.org/blog/the-fallen-apple-attending-klezkanada-with-my-dad. Hetko, Adah. “The Fallen Apple: Attending KlezKanada with my Dad.” In geveb (April 2019): Accessed Apr 20, 2019. 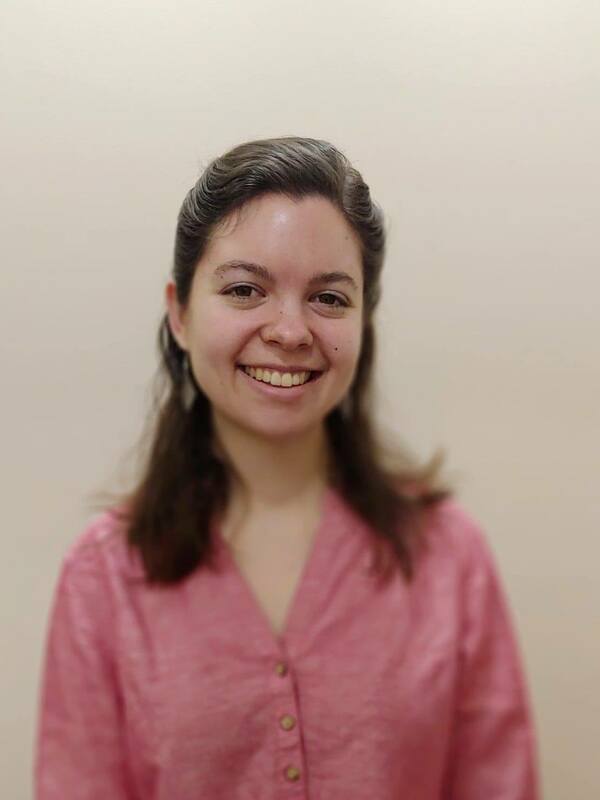 Adah Hetko is a fellow at the Yiddish Book Center, where she assists the Yiddish Language Institute and develops content for upcoming exhibits.